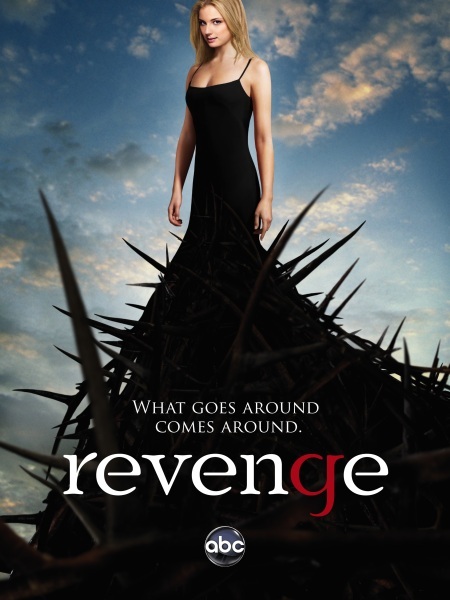 I have to agree with much of what critic Daniel Fienberg, said about Emily VanKamp’s performance as vendetta-driven heroine Emily Thorne. (Why didn’t the writers make her character choose a much less harsh sounding assumed surname – like Meadows or Summers?). She’s bland and flat for much of the proceedings, with the exception of her confrontation scene with Nolan Ross, where she threatened to crush his wind-pipe. That was about the only time in the pilot we get to see the steely rage beneath the cool exterior. Madeline Stowe is fabulously campy as the moderately hissable Victoria Grayson. It is hard to believe this beauty is 53! Unlike Mr. Fienberg; however, I can’t see why anyone would root for Victoria – it was clearly heartwrenching to see a girl (the young Amanda Clarke, as Emily was originally named) of about 7 or 8 years old physically ripped out of the hands of a loving father by strange armed men, and it was clear from the flashbacks that Victoria was partly responsible, and she admits to as much while confronting her husband about his affair with Lydia, an ex-friend of Victoria’s who’s now “exiled”. T his is the first film I’ve seen with a male bisexual character in which the character’s sexuality wasn’t a “problem” either for him or for someone else in the film. Too many films have featured the bisexual male as the bad guy, the home wrecker, disease spreader, et cetera, so the focus on love, commitment, growth and change was refreshing to see. The director ends on a pro-polyamorous note, and seems to agree with the notion that ones love for a second and/or third party can paradoxically enhance/enrich your appreciation for a different partner. Indeed, the affairs that both Hanna and Simon had with Adam seemed to strengthen their own sexual and emotional bond. The ironic twist of Hanna’s late life pregnancy with twins, which left the audience to speculate on their paternity was certainly contrived, but somehow fitting with the overall tongue and cheek tone which underlies all the drama.